ABSYLUX® CN-F (Conductive Acrylonitrile-Butadiene-Styrene) Non-sloughing, carbon fiber filled material with high strength and stiffness, easily machined. ABSYLUX® CN-P (Conductive Acrylonitrile-Butadiene-Styrene) Carbon-powder-filled, conductive material with high strength and stiffness, and relatively high impact strength. This material is easily machined and fabricated into close tolerance finished parts. ABSYLUX® SD-A (Static-dissipative Acrylonitrile-Butadiene-Styrene) Non-carbon-filled anti-static material that has high impact strength, good tensile and flexural strength, and is easily machined. Available in natural or black, it can be easily thermoformed in thinner gauges, and is bondable with WELD-ON® 1707. 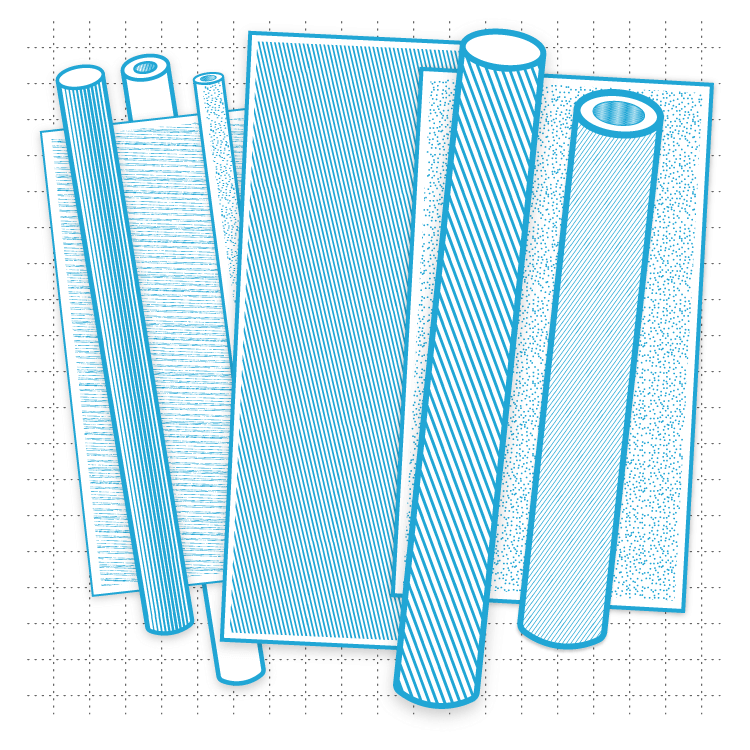 CRYSTAT® (Anti-static Acrylonitrile-Butadiene-Styrene) Semitransparent, inherently anti-static material available in roll stock and thin gauge sheet. Its strength and clarity make it excellent for thermoforming.